When a real estate agent with experience, knowledge, service and a proven track record counts, you can count on Larry Fry. Since 1995 helping families buy and sell homes in the Dallas-Fort Worth Metroplex. Having had 5 homes built personally the experience has taught him what to look for in a builder, what questions to ask the builder, and how the building of a new home is to proceed. Larry is the one to guide you through new construction. 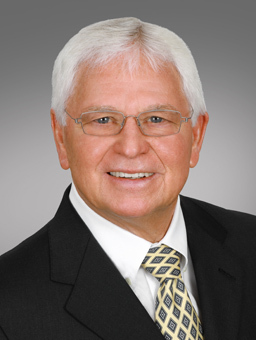 Larry’s knowledge of the area, home prices, new home construction, lifestyle needs, mortgage rates, closing procedures and expenses, and the entire real estate process will give you the added confidence you’re looking for in a Real Estate Professional. Consistently in to TOP 10% of agents in the #1 CENTURY 21 office in the World, CENTURY 21 Mike Bowman, Inc.
Just a quick note to let you know how much Lonnie and I enjoyed visiting with you as we toured homes recently. We thought you were delightful company and really appreiated your thoughtful comments and observations. Thanks to Larry we will all be enjoying our new homes in Crawford Farms. “We would like to take this opportunity to commend the services provided by Larry Fry of your company. While waiting for our out of state home to sell Larry spent many hours helping me to learn the Dallas/Fort Worth area and showing me many different homes, even though a purchase was not imminent. When my wife was able to join me, Larry again spent many hours showing us homes throughout the area.